Fresh Prince’s Carlton is suing Epic Games over ‘that Fortnite dance’ but has he a leg to stand on? 18th December 2018	Entertainment Comments Off on Fresh Prince’s Carlton is suing Epic Games over ‘that Fortnite dance’ but has he a leg to stand on? 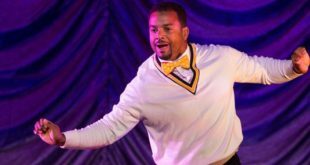 Actor Alfonso Ribeiro is suing the studio behind the hit video game for its alleged IP infringement as he attempts to copyright the 'Carlton dance' 20 years after its conception.